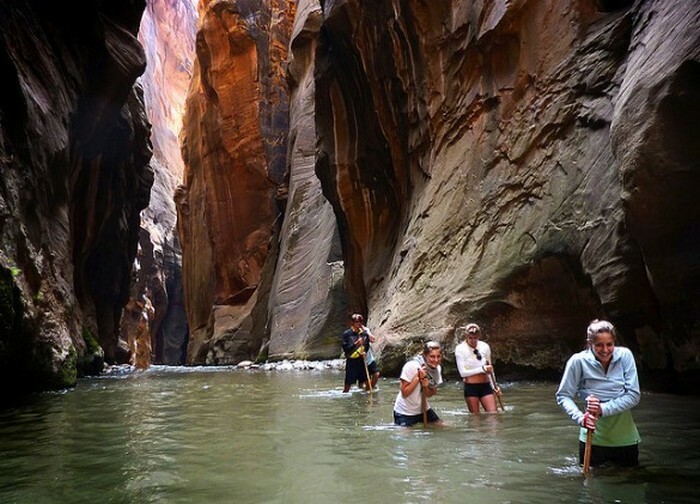 Everybody needs a little adventure from time to time and these 10 best hiking trails in the world are exactly what you need to spice up your life! The Earth is an amazing and mysterious place which is until this day mostly undiscovered. It is full of secrets and mind blowing landscapes that we can’t even imagine. When you manage to stand face to face with such an incredible scenery, I guarantee you that will completely change your life and make you wonder just a little bit more. There are so many people out there who are passionate about discovering the Earth and that did these unbelievable hiking trails around the world so that everybody else can be aware of their existence and explore farther. Let’s take a short trip through the most spectacular hiking trails in the world you absolutely have to do at least once in a lifetime! We start this journey with a terribly dangerous trail! 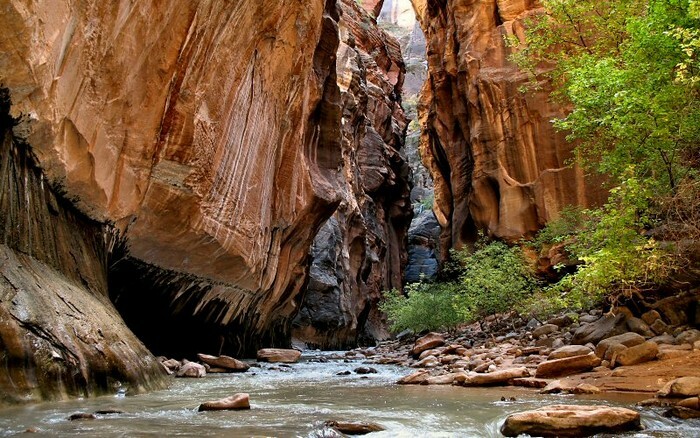 The Zion Narrows in Utah, United States is one famous trail, with many titles earned over the years. It is known to be one of the best hikes in the whole U.S. National Park and it was also ranked as number 5 on National Geographic’s list of America’s Best 100 Adventures. You have to be prepared though because you will be hiking through water for almost 60% of the trail, but I think you won’t even notice. You will be captivated by the colorful sandstone walls that reach almost 3,500 feet in height and feel the adrenaline through the famous “Wall Street”, where for two miles the walls will close to only 22 feet wide at the top. But I have to warn you, this is a dangerous journey, hikers die every year here. You have to take notice of the weather and be prepared because a rainstorm, even if it’s 50 miles away, can storm down the canyon and be lethal.